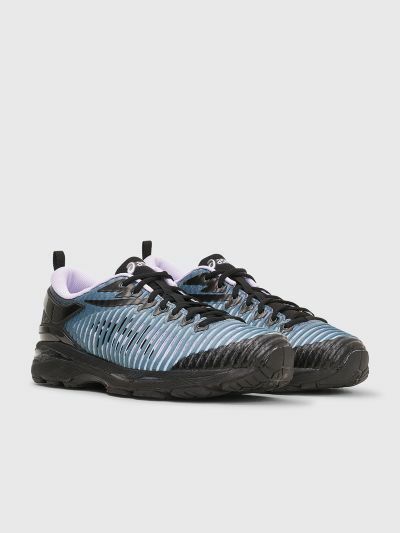 Sneakers from Asics made in collaboration with Kiko Kostadinov. 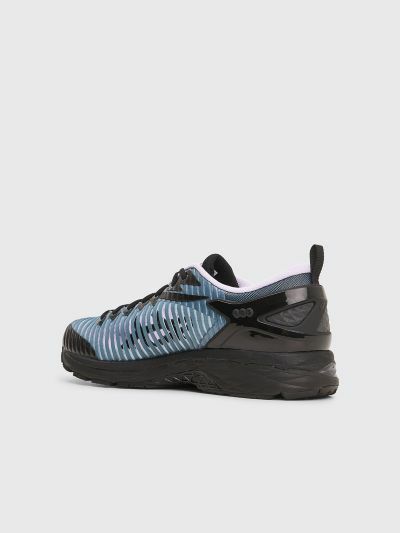 Textile upper with rubberized print, cut out jersey overlays and a rubber heel counter with textile pull tab. Rounded laces through rubber lace stays. 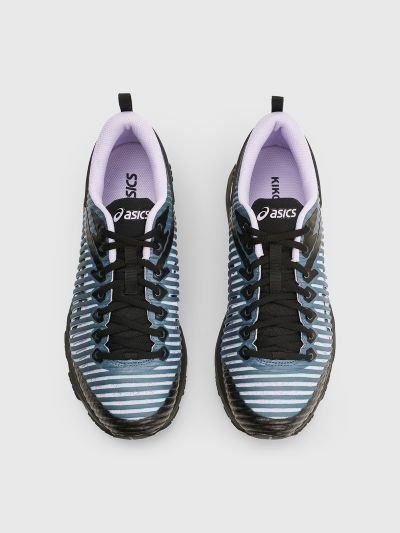 Embossed Asics logo on the tongue. 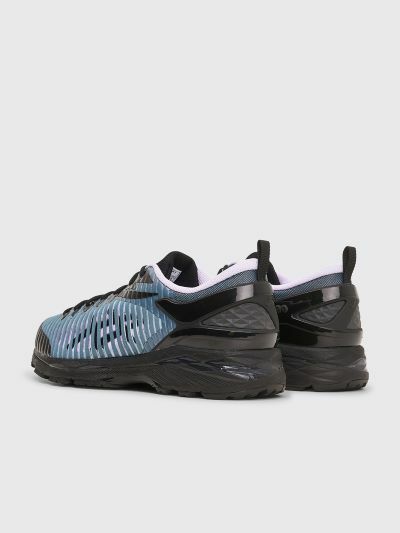 Black, blue and purple sneakers. Textile and rubber upper. 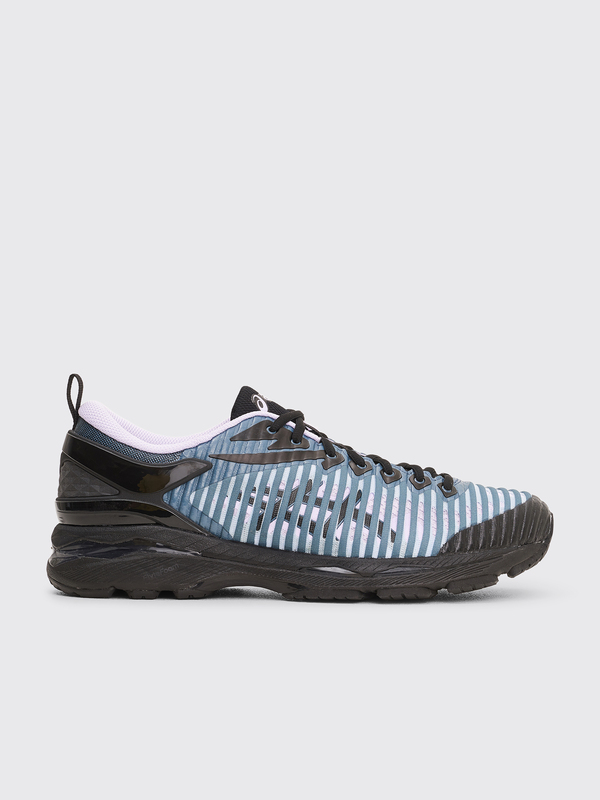 Textile lining and insole. Rubber outsole. US 9 equals UK 8 / EU 42,5.